This is another image and video-based lesson. 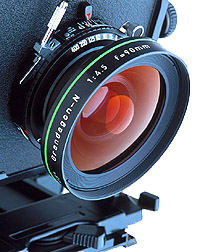 The students first discuss the concept of photography, watch a 6 minute video (Impossible Photography; a TED talk by Erik Johansson) and finally describe complex images. Many thanks to Márcia Elena Schaedler for providing a language page designed to help your students describe photos – click on the link to download the PDF. Ask your students how they think photography has changed in the last 10 years. You can obviously expand and ask for more opinions. Let this section go as long as you feel it is useful. Then ask your students to define the word photography – considering the difference between amateur and professional photography. Ask them if they think a digitally edited image can truly be called photography. You could follow-up and see if they think digitally edited images can be considered art. What question does Erik pose the audience? Is it photography? What conception of photography did Erik previously hold? You had to be in the right place at the right time, the process ends when you press the trigger. How did this inspire him? He wanted to create something that began at the press of the trigger, to make something different. What “common goal” do Erik’s photos have? To have an element of realism. Define realism as used in this context. Photo-realism: something that looks as if it could have been captured, that it looks realistic. What principles does he adhere to when creating an image? Little details: 3 rules – photos combined should have the same perspective, the same type of light and they should be seamless. Why is it easier to create a place rather than to find a place? Because one does not have to compromise the ideas in one’s head. How does he plan the photos? He draws a sketch, combines different photographs and follows the principles. What is his conclusion? We’re only limited by our imaginations. 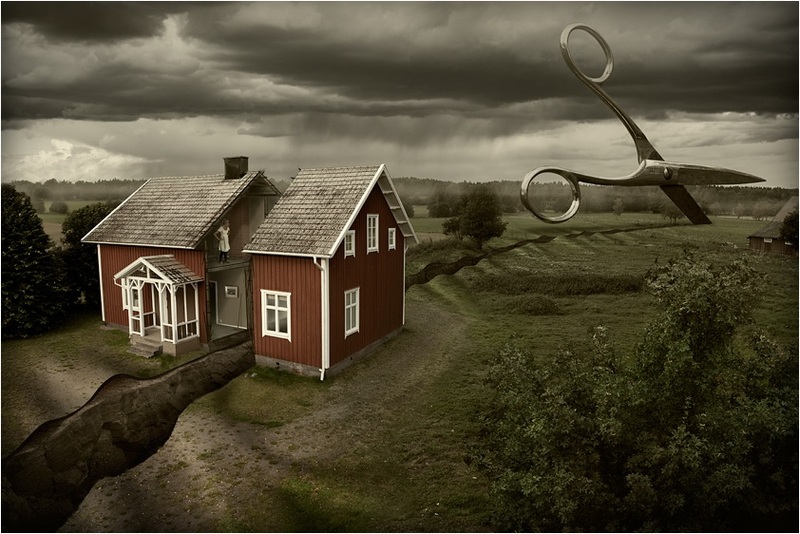 The following slide show has a selection of Erik Johansson images. Each is copyrighted by Erik, though he gives permission to use them on blogs, so, cheers Erik! Erik Johansson’s website. You can do this in several ways; – either print out colour copies of the images, or show the images to individual using a computer screen/iPad. The aim for your students is to describe the photograph to their partner (or whole class) well enough for them to be able to reproduce it in sketch form. In this way, they will deconstruct Erik’s images to their base sketch-form and use lots of interesting vocabulary and description. They will need some difficult vocabulary – so I recommend doing this in small manageable groups in order for monitoring to be successful. They’ll need lots of guidance. For more fun, you could have votes on who produced the closest image, etc. To save the images, right-click on them – or visit Erik’s Website (link above). Please comment on any different directions you took this lesson. Ta. Thanks so much for a great lesson! I used it today for a one-on-one class and it went really well. It really challenged her listening comprehension (which is what she has asked for!) and sparked some really interesting conversations as well. Looking forward to trying more of your ideas out! Thanks again, Nikki. You’re welcome. Glad it went well! to open the topic of photography as poetry, my students surprisignly really like it?!? Very cool. TED is always such a good source of lesson material for higher levels and finding another blog that uses them and gives lessons ideas away is invaluable for all. Thank you.